In 2008, after a 20-plus year career as a business journalist, Fred Williams made what might have seemed like an unlikely career move: He took a leave of absence and applied for a job as a debt collector. Williams wasn't having a midlife crisis; rather, he wanted to see if the collection industry's claims of being law-abiding, professional and decent were true. Williams got a one-of-a-kind, inside look at the collections industry in America today, which he turned into a book, Fight Back Against Unfair Debt Collection Practices: Know Your Rights and Protect Yourself from Threats, Lies, and Intimidation. He worked for what he describes as a mainstream, well-known firm (although he keeps it anonymous in his book) in the Buffalo, N.Y. area. And while some of what Williams describes -- the drab building, hackneyed motivational speeches and rows of ancient computers -- will be familiar to anyone who's ever held a Dilbert-esque office job, much of what Williams uncovered is surprising and disheartening. WalletPop got on the phone with Williams to ask him about his experiences and what he learned about consumer debt and the vast army of employees charged with collecting on those debts when people default. The short version? 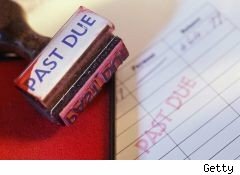 Collectors will say and threaten just about anything to extract a payment out of a debtor or their loved ones. On average, how many phone calls did it take to net a payment of some kind? On average, as a trainee, I'd say it was probably around 100 calls, counting answering machines. You could make 20 calls and not speak to a single person. How were trainees treated, and how did that impact the quality of customer service? As trainees, we were very expendable. We could say whatever and management wouldn't rein it in. The result was a lot of inconsistency. Some people would issue harsh and illegal threats while others might be entirely compliant. Trainees counted for a substantial portion of the workforce. This was used by the agency as a form of protection. If regulators were to come and listen to a non-compliant call, if it was a trainee, the company could say 'The trainee doesn't reflect the organization. They haven't absorbed all of our training yet.' They're shielded from penalty that way. How did your training teach collectors to skirt the Fair Debt Collection Practices Act (FDCPA)? Most of our training after the classroom was all peer training, and we'd watch what they did and get them to coach us. So that way, it wasn't official training. Some of the veteran collectors were on every call making threats that weren't true, and that was our training. It was our training but management wasn't giving a pamphlet saying 'Here are the threats to use.' There was nothing in writing. It was done by our peers and there was nothing written down so it was very deniable by management. Why was that distinction important? Since it wasn't being done by management, they weren't technically training us to violate the law, but trainees picking up non-compliant practices was an upshot. What about the requirement that you have to get permission from debtors to do things like call them late at night or call family members about their debt? In our training, it was made clear to us that if we're on the phone with a debtor, it's important to document the permission. They didn't go into how to obtain that permission. I don't think many people really bothered to get the permission. What the trainer emphasized is that our notes would likely be the only official record of what was said and not said. So you could just say you'd gotten the permission when in fact you hadn't? Yeah, that was what the implication was. You say early on that one tactic that doesn't work with collection agencies is to claim you didn't know about the debt. What else shouldn't people say to a debt collector? The things not to do would be to agree to pay something and renege on it. They'll go very hard at that point and increase the pressure. That's when thing get ugly. They'll call more often and do whatever they can do. [Ed. note: Williams' book explains how collectors are punished when a debtor doesn't come through with a promised payment.] They've heard it all. They don't know if it's true or not, and they don't care. What do Americans not realize about the information collection agencies have on them? One thing consumers should know is, collectors often have enough information about you to make it sound like they are who they say they are [even if that's not true]. You should be aware that if you're in a negotiation with a creditor, they're going to have a lot of information on you. Be aware that if you have a car payment and that's up to date or credit cards that are open and up to date, a collector is going to see that and say, 'Why aren't you paying the bill I'm trying to collect?' Get a copy of your credit report. When you worked at the agency, what sorts of threats did you hear other collectors make? There were a couple that were pretty brazenly non-compliant. One was to tell debtors, 'I'll make a decision on your behalf,' which is an implied threat. Our compliance department told one guy to stop saying that. Another one that was a little bit more specific I've heard in various versions. The guy I worked with would say 'I'm a fraud investigator. I need to talk to someone about the activity on their credit card.' Then when they got to the phone, he'd turn it around on them and ask if they were trying to commit credit card fraud. If you sign up for the card in good faith, it's not fraud. And law enforcement won't call you up and offer you a discount. That's not a deal you'll get from the cops. What did you learn about the role of the compliance department, which is supposed to randomly monitor agents' calls to insure compliance with the FDCPA? From what I saw at my agency -- and it was a pretty mainstream agency -- the compliance department was just kind of a whitewash, a facade. Once I got out on the floor, it was pretty clear that somehow our supervisor knew when someone in the group was being recorded and would warn them. What about debtors who claim they're recording you? Does that faze collectors? One regulator once told me, 'Nothing beats a tape.' If they had any brains at all, they'd toe the line in a case like that. That's similar to, say, if a debtor says their attorney is dealing with these calls. But it didn't do much good for the debtor to say that if they hadn't gone that route. They actually had to have an attorney, because we'd ask, 'Who's your attorney?' If they hemmed and hawed, we knew they didn't have one. Is there a better time of the month to try to haggle with collectors for a settlement? I think most agencies go on a calendar month schedule. The end of the month is when collectors' bonuses are determined. In addition to the increased threats made because they were under pressure to make their quotas, that's also the time to get a deal because they're under pressure to bring in the money quickly. They want a settlement, cash in short order. The end of the month is a time to close the deal. What does a debtor need to do if they agree to settle with a creditor? You sure need to document that. Get a letter or fax sent with a letter of discharge. 'Settlement in full' is the phrase that needs to be used from such and such account and creditor name. Make sure the original account number is on there, not some internal reference [number] the company uses. Once you have that letter, you pay the amount settled on. Usually the collector wants to do a check by phone in the same call, but tell them, 'Fax or email me a PDF' of the agreement. It's important to note that 'settlement in full' is not as beneficial as 'paid in full' on your credit report, though. Your book details the differences between payment plans and one-time settlements. What's a better deal for consumers? You'll be able to save more money doing a settlement. If you have the money, do that. You can get a much better discount on the debt. Typically, on a payment arrangement, they want you to pay the whole thing.